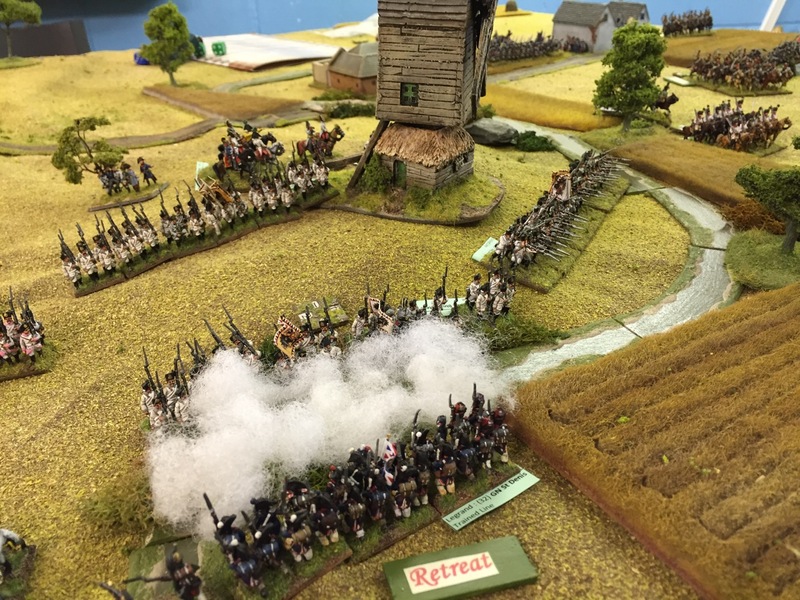 Gary put on a great game on Sunday using GdB rules with modifications for early revolutionary troops. 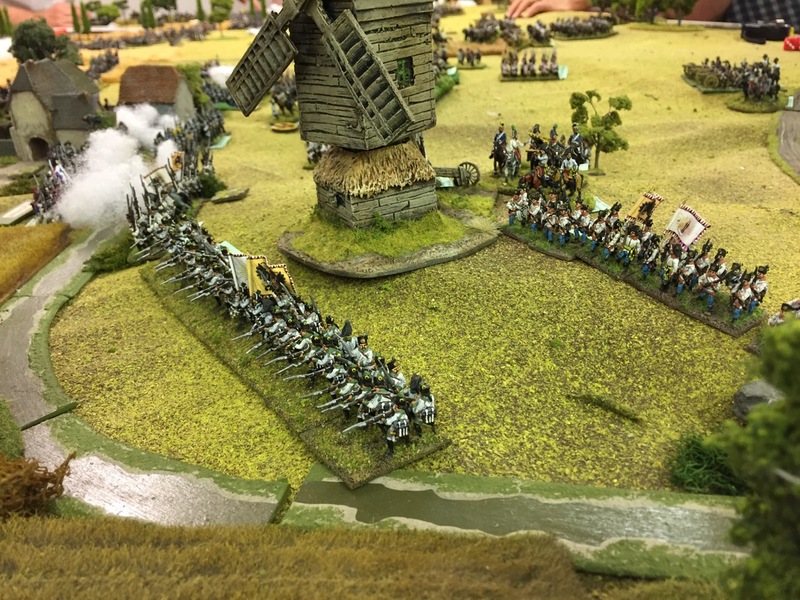 The battle was Neerwinden (Wikipedia link) and his rule modifications were based on command and control changes and introducing more variable troop quality. Enjoy the pics. House Rules and the Order of Battle used is posted below. 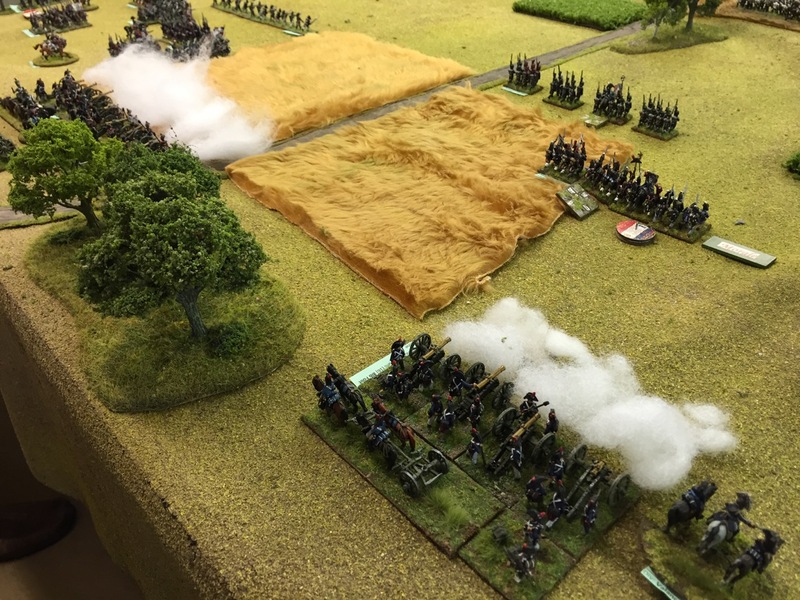 The idea behind the house rules for this game were to better reflect the limited formations that could be used by Revolutionary French troops and to separate troop morale from the level of troop training. 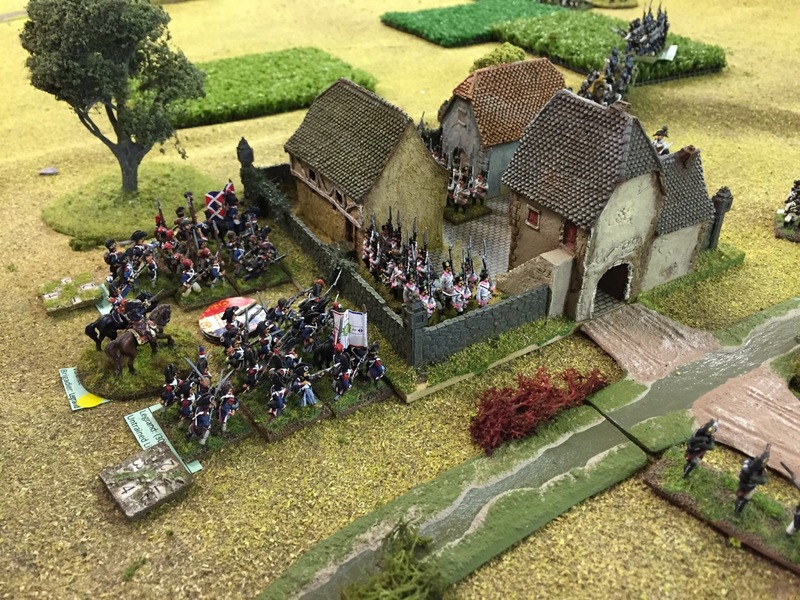 In the Revolutionary Wars the French can field troops ranging from well drilled troops with poor morale (disgruntled ex royalist troops) to badly trained but enthusiastic ones (better National Guards and volunteer units). 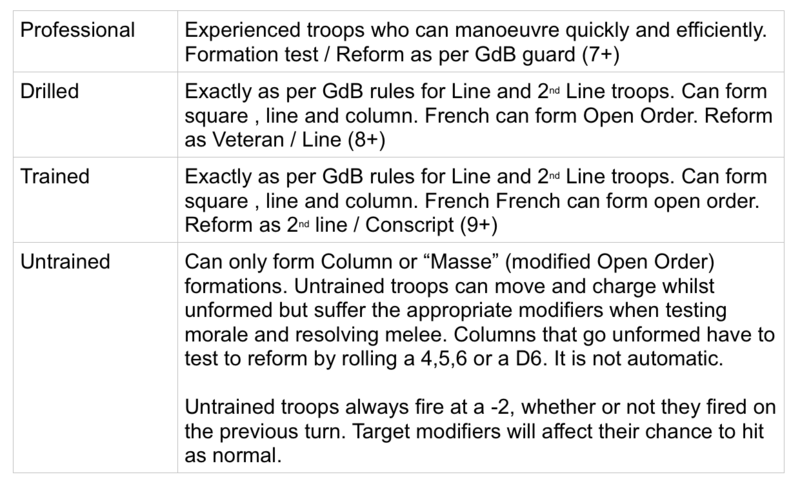 In comparison the Austrian army was all Line or 2nd Line (as defined by the current GdB rules) with the exception of some of the Freikorps, who were effectively conscripts. 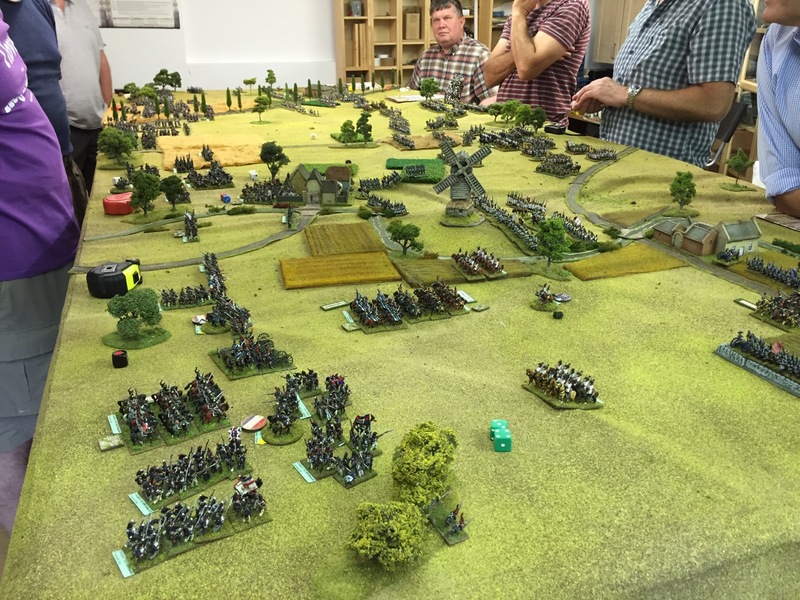 We restricted the formations that could be used by untrained French battalions to better reflect the ways they were actually used on the battlefield and we added variability to the enthusiasm (effectiveness) of each untrained French battalion determined at the point of it’s first engagement with the enemy. “Masse” is a modified form of Open Order depicted on the table by having a half base width gap between each stand. 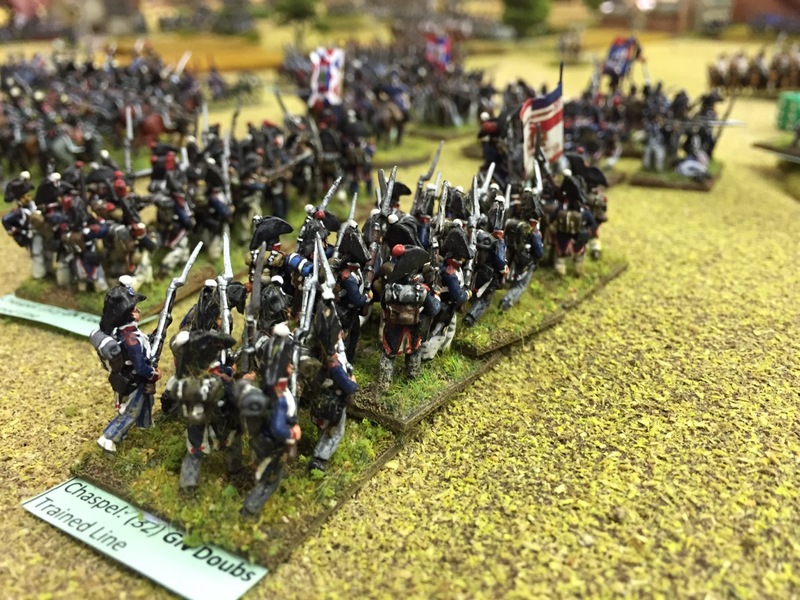 It moves at line speed and can evade (like skirmishers) as the battalion is not trying to maintain a formation. It is always classed as unformed and suffers the applicable morale penalties. A formation test is required to reform as a column. There is a -2 target modifier for shooting at a battalion in a Masse formation. 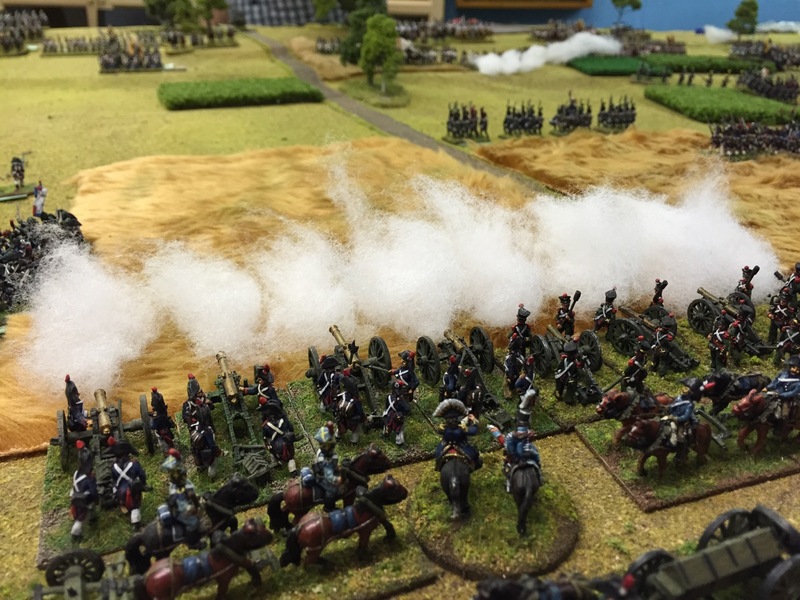 When first exposed to battle French National Guard units (including Milice, Legions and volunteer battalions) could turn out to be either reluctant or driven with nationalistic fervour. Before any contact with the enemy they are graded as “Line” for morale purposes. At the point of first contact (either being fired upon, taking a first casualty or being contacted in melee) each unit should roll a D6. 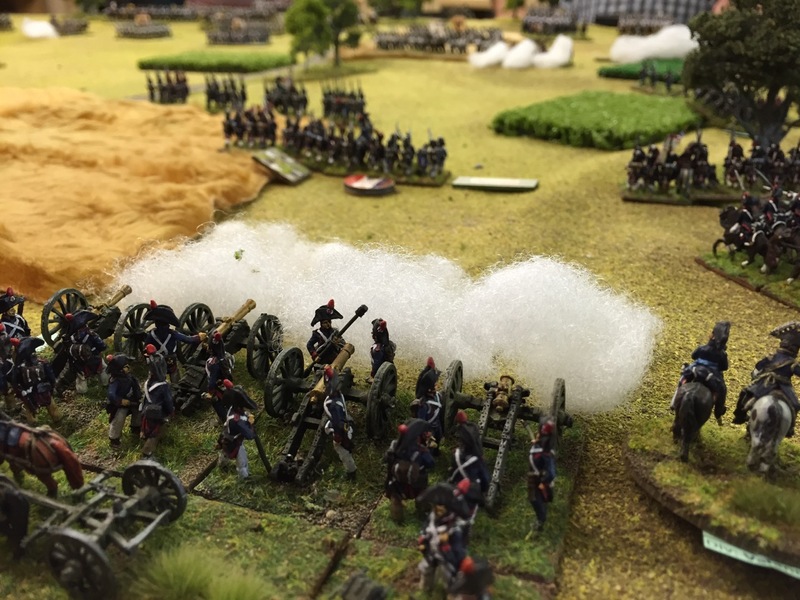 Any Artillery designated as a position battery may move until they are unlimbered but from then on they remain in that location and can only be man-handled. NB. 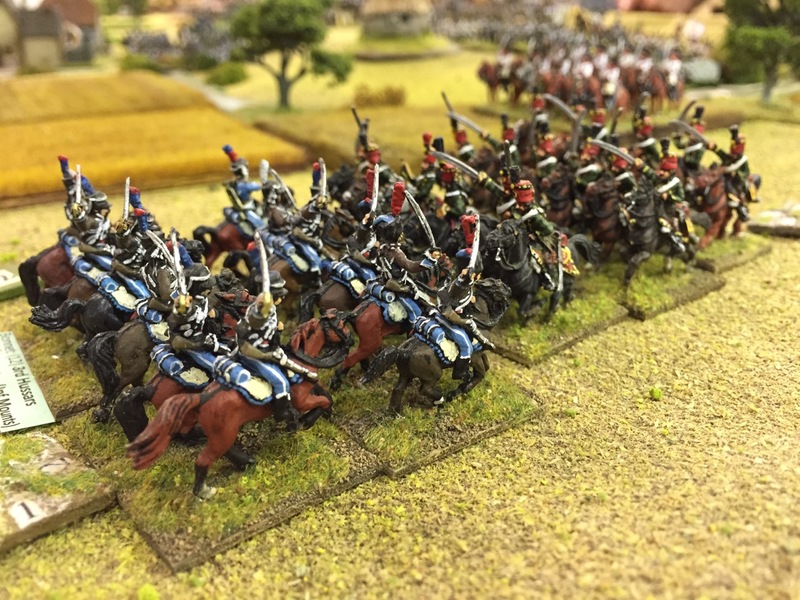 We consolidated a number of smaller French battalions to play a better wargame.